Historic Tiverton is at the centre of Mid Devon, midway between Exmoor and Dartmoor. It stands on the beautiful River Exe, which flows through its centre, overlooked by the historic church and castle. It also has the Grand Western Canal where rides can be taken on a narrow boat pulled by a horse. 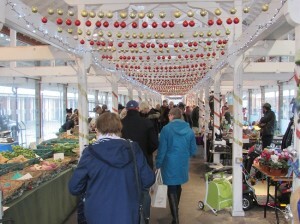 It is a market town and has a Pannier Market (indoor) surrounded by units, which has changed over the last couple of years, with new traders and locally produced craft and food products to react to the changes and challenges to modern markets and the habits of customers rapidly changing. The market embraces the community of Tiverton and warmly welcomes the visitor from further afield. Through the Mid Devon District Councils business assist scheme for new traders, the market is encouraging new businesses with new ideas (market days are Tuesday, Friday and Saturday with a Farmers Market on 4th Friday of month). The current market also specialises in local crafted products and artisan produce as it is at the heart of rural Devon. Local rural crafts are done on alternative Wednesdays (non-market day) and include wool spinning, peg weaving and art and crafts. This has helped to improve the variety of goods which keeps growing. A local artist has done paintings on the walls of the market and a regular trader will demonstrates the special ‘Honiton Lace’ making if asked. It does make for a special place to visit. The market has always embraced ‘Love Your Local Market’ with various initiatives and 2019 will be no different other than the theme. Tiverton’s Market theme is ‘Love Music, Love your Market’. 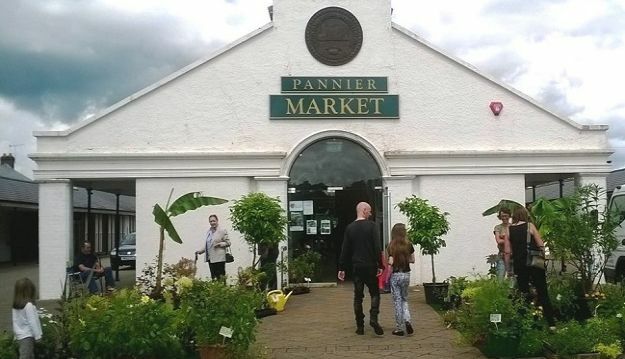 This is backed by the community with community choirs, local operatic societies and local musicians giving their time free of charge to entertain customers during market days on various days throughout the year. The market has its own piano and customers are invited to play, with some now coming on a regular basis to play and entertain other customers. 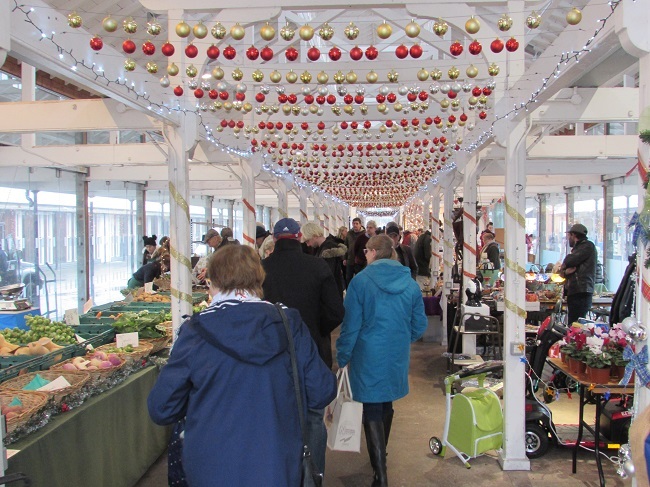 The traders and market team work closely together to ensure there is a cheerful atmosphere across the whole market and they take sense of pride in their market and town. The market is at the centre of the town and the main shopping streets are easily reached. These have a collection of mainly small independent shops selling a variety of mainly quality goods and a scattering of independent cafes and coffee shops offering a good variety of refreshments. There is a selection of quality individual clothing shops where the item is unique and Gold Street was classed by Devon Live website as the trendiest street in Devon. There is even a locally owned departmental store in the centre offering a variety of quality goods.